It was the closest and best value engineering school. Career aspirations: Work as a design engineer in the renewable energy or advanced transportation industry. Advice for aspiring engineering students: Join a project-build club and put your heart and soul into it. You won’t regret it and you will come out with tons of great experience, friends, and professional contacts. 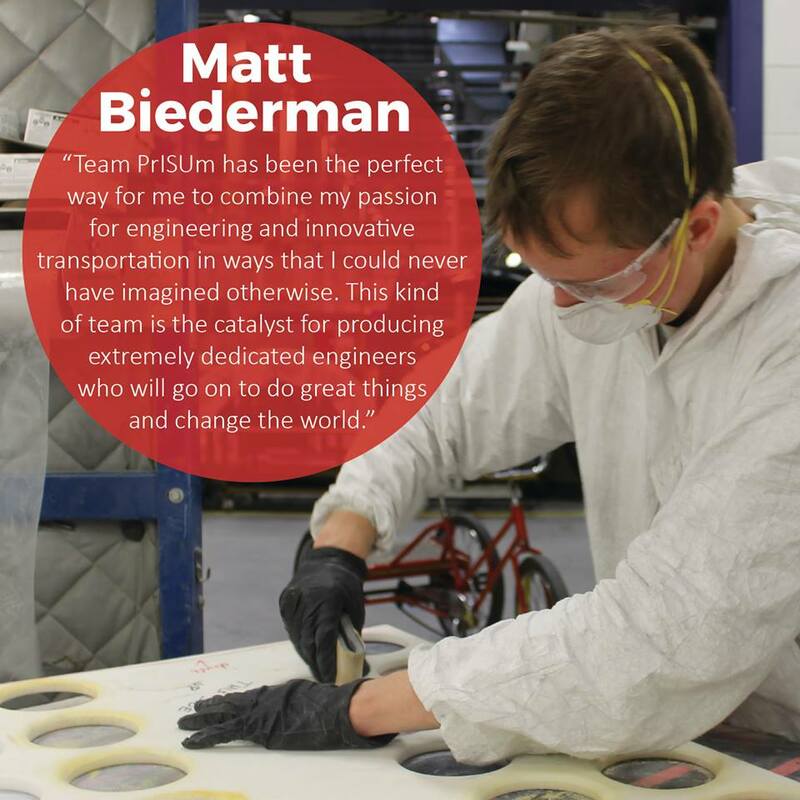 Role on Team PrISUm: Leader of suspension, steering, and braking system design, integration, and testing. Meeting non-Americans, seeing how they act, and enjoying the outdoors with some of my best friends.